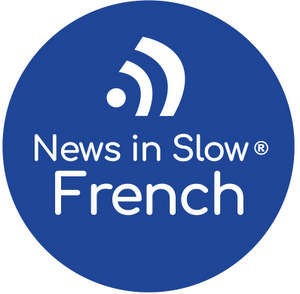 News in Slow French is a weekly podcast aimed at intermediate-level French students. Native speakers report current events at a reduced but not unnatural pace, making it easier for you to understand without being overloaded by rapid-fire French. You also have the option to hear the same person reciting the news at a normal speed, so that you can truly practice and improve at your own pace. After the news item, two reporters chat about it to further improve your understanding and offer additional information. The complete transcript is provided with potentially difficult words highlighted – hover to see the translation. Audio and transcripts for each episode consisting of four news items per week, plus access to previous episodes. Bronze plus two-part grammar and idiom features (lesson + dialog for each) every week. Silver plus pronunciation practice and quizzes every week. So if you want to faire d’une pierre deux coups, check out News in Slow French, where you can improve your French listening comprehension and language skills while simultaneously learning about current events. French teachers and study groups, you can take advantage of substantial discounts by purchasing in bulk – see the educational rate calculator.